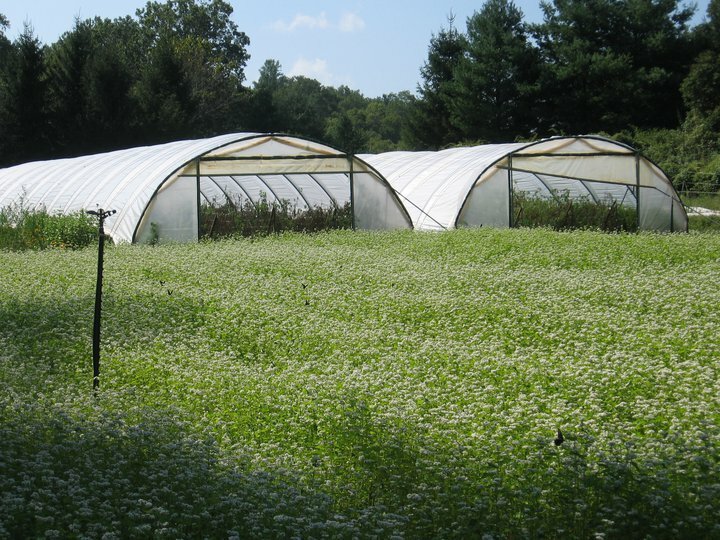 Located on the S. Toe River near Celo, NC, this farm grows a wide variety of organic heirloom seasonal vegetables. A small flock of hens provide about 10 dozen eggs per week. Firefly Farm sells its produce through three farmers markets, a CSA and also supplies Asheville restaurants and groceries. They are expanding their cut flowers and herbs, and establishing blueberries and fruit trees for the future. Call and arrange a visit to the farm and come have a picnic by the river. Firefly Farm is applying for organic certification in 2008, and planning to add Devon beef cattle this year.